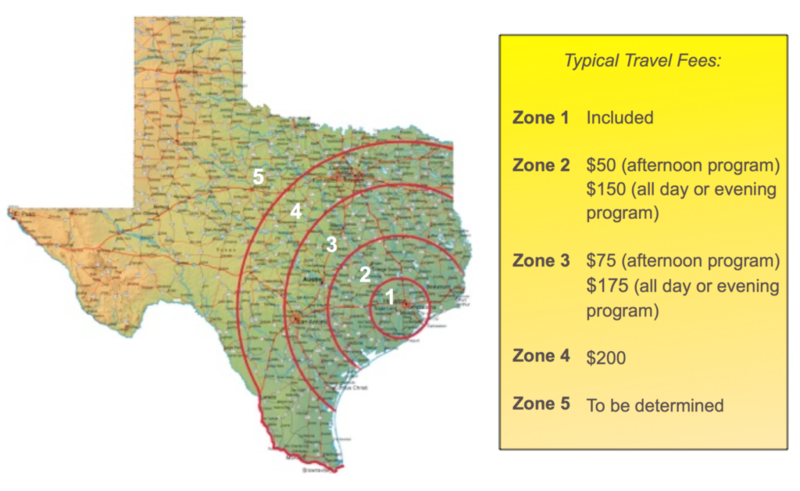 $200 Additional Shows, Same Day and Same LocationTravel costs may apply outside of the Greater Houston area. 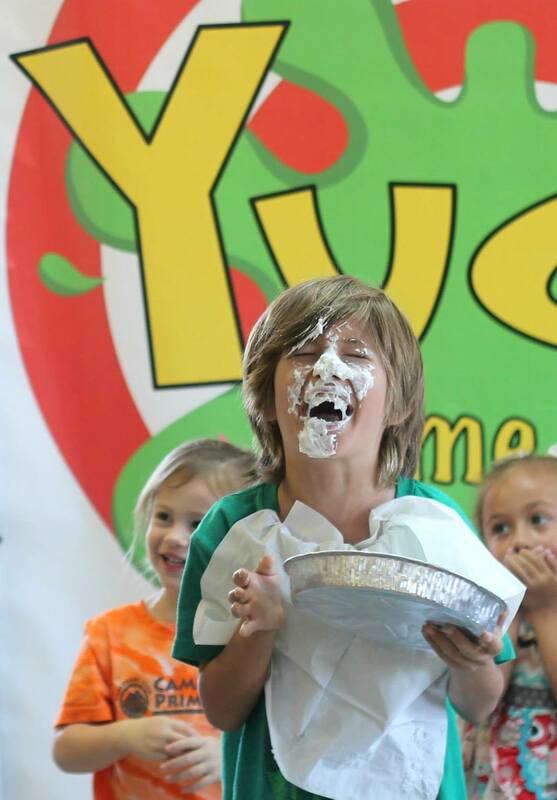 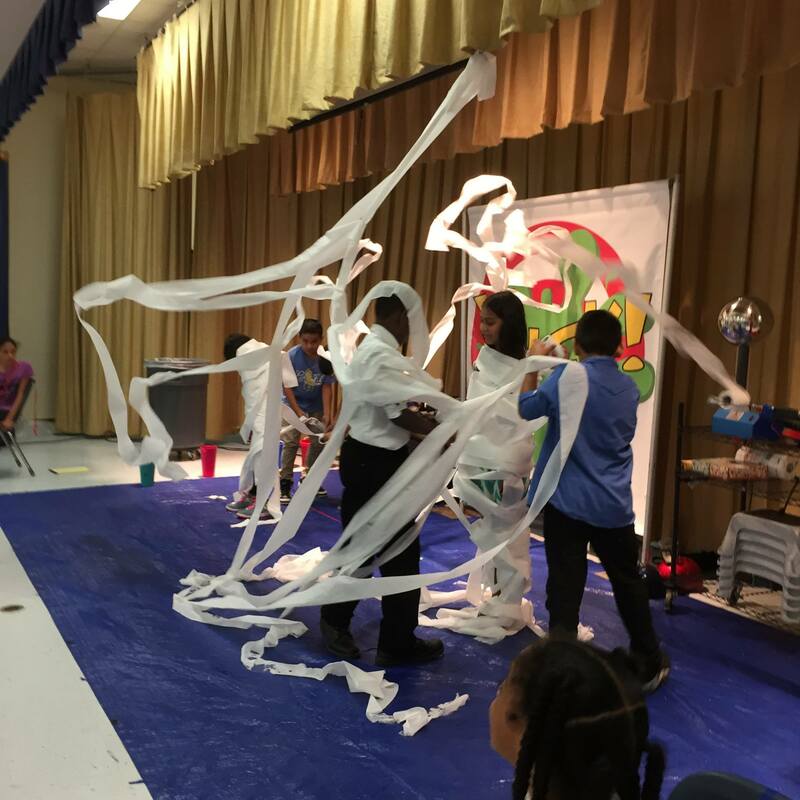 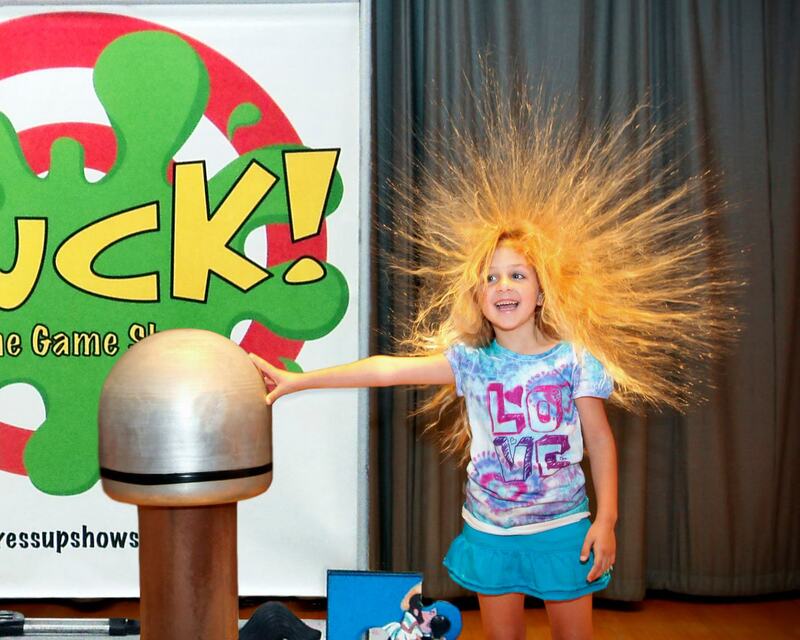 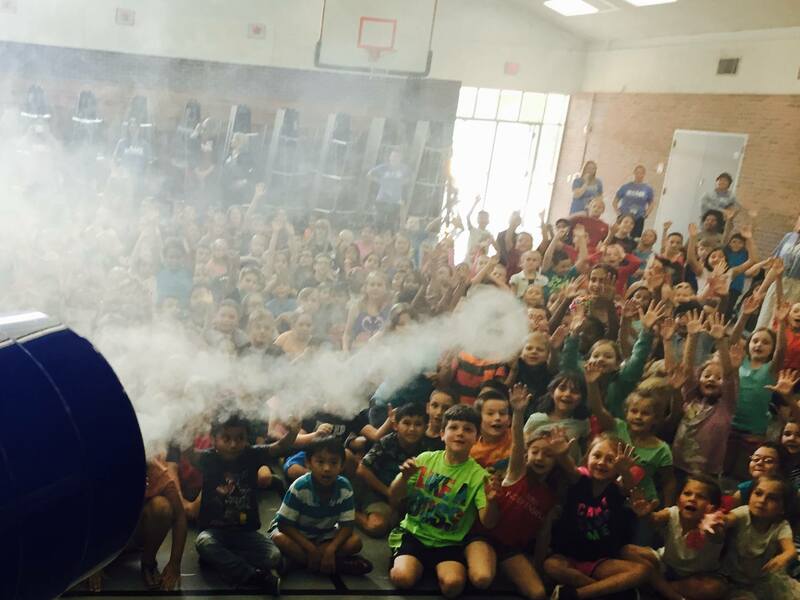 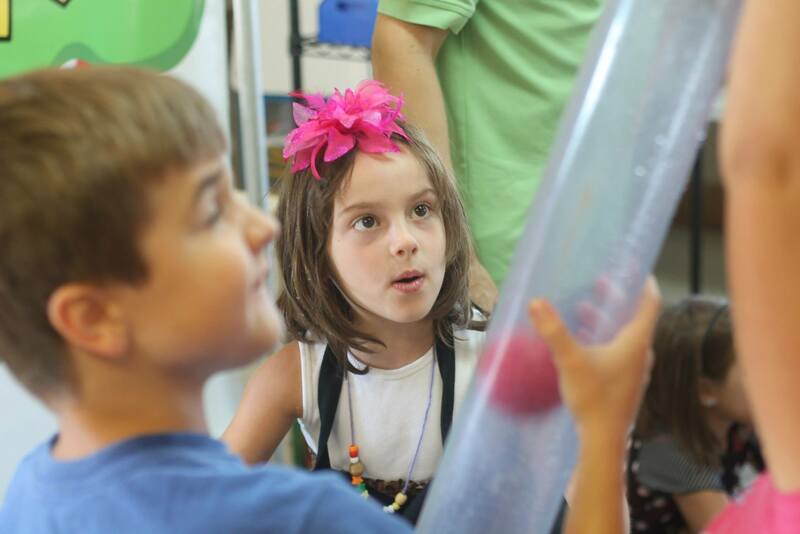 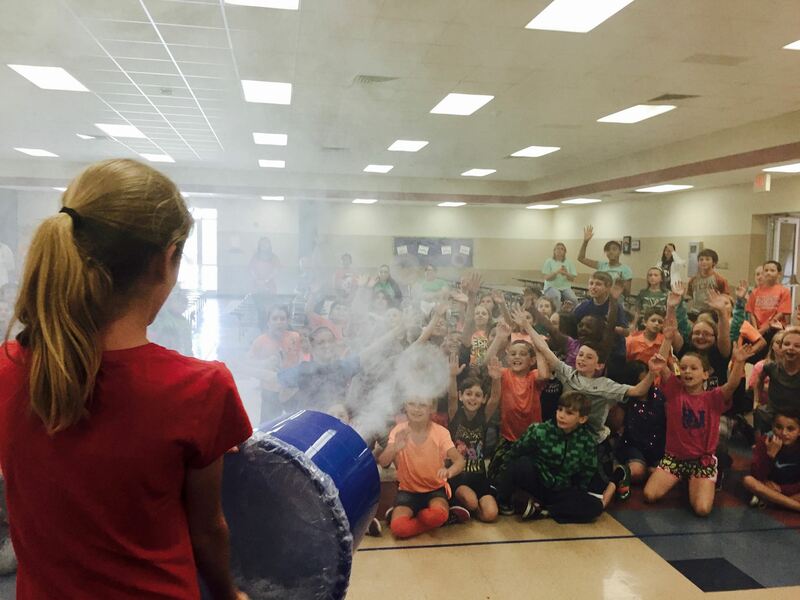 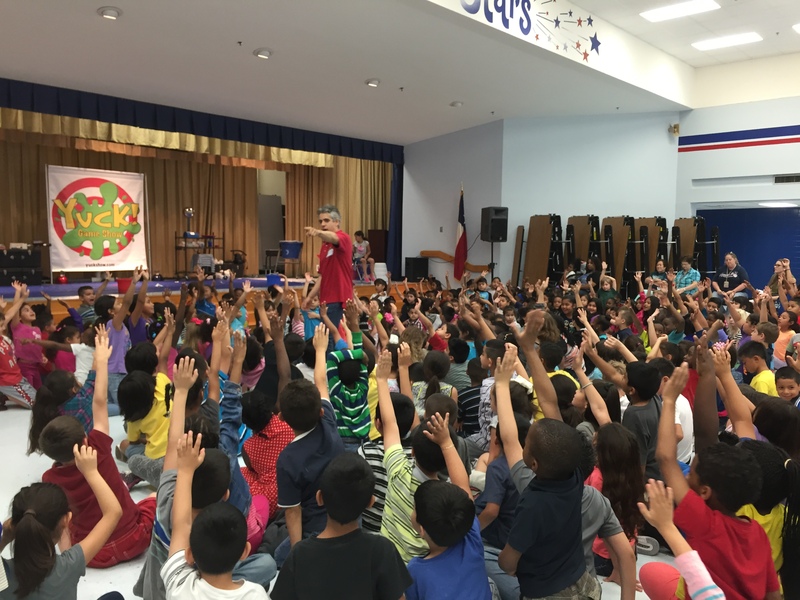 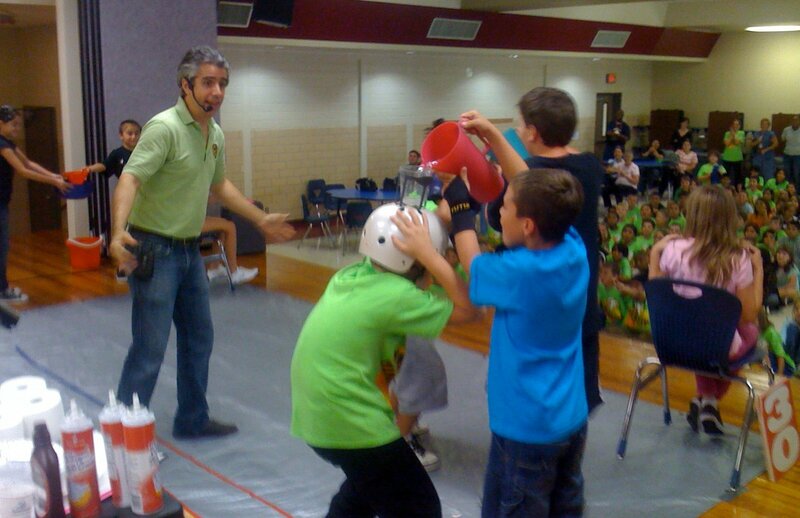 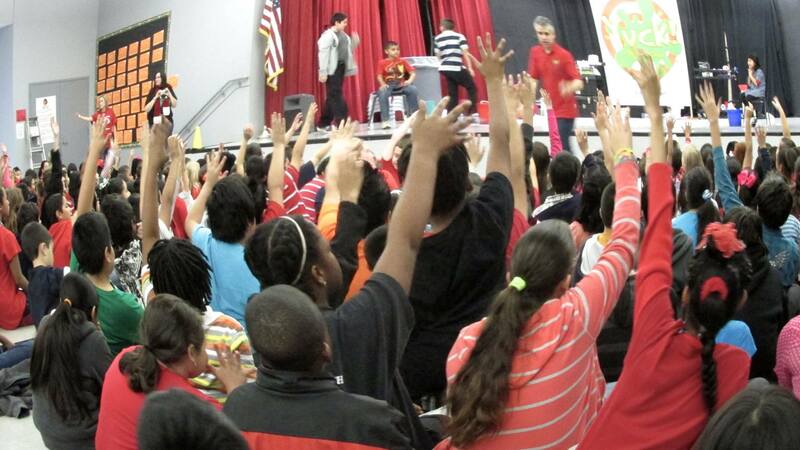 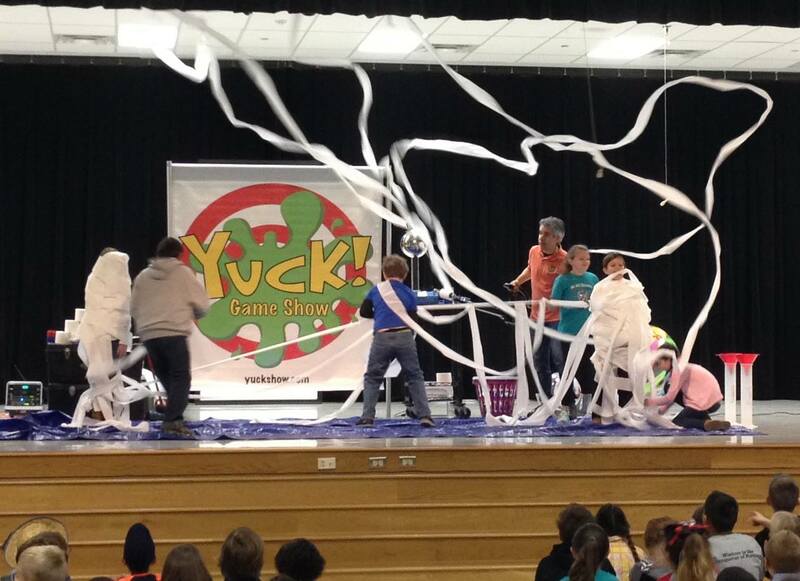 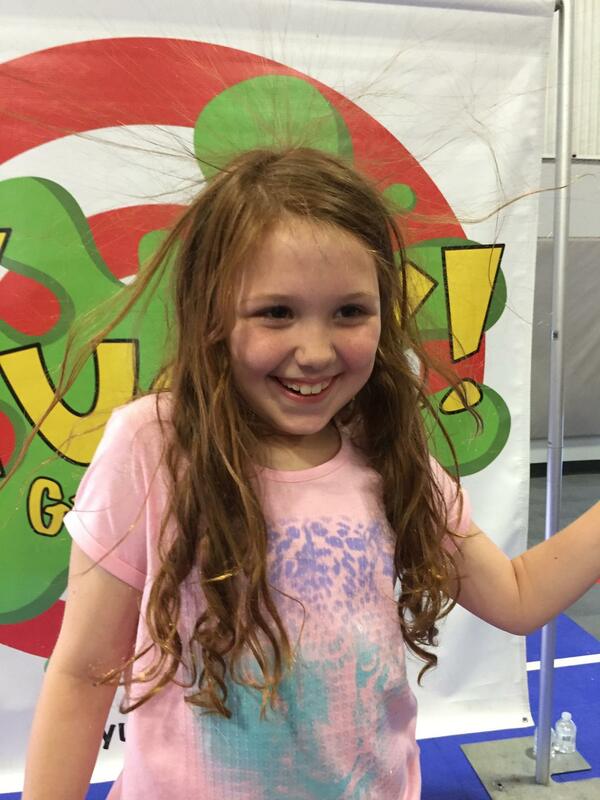 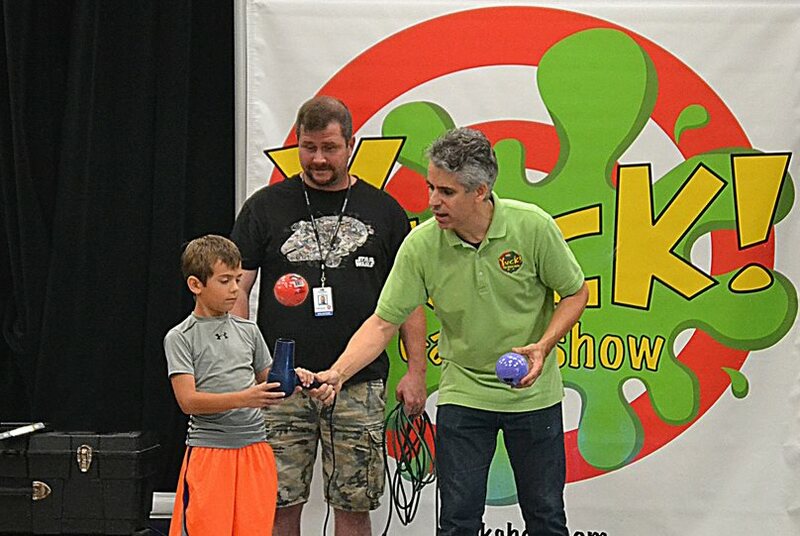 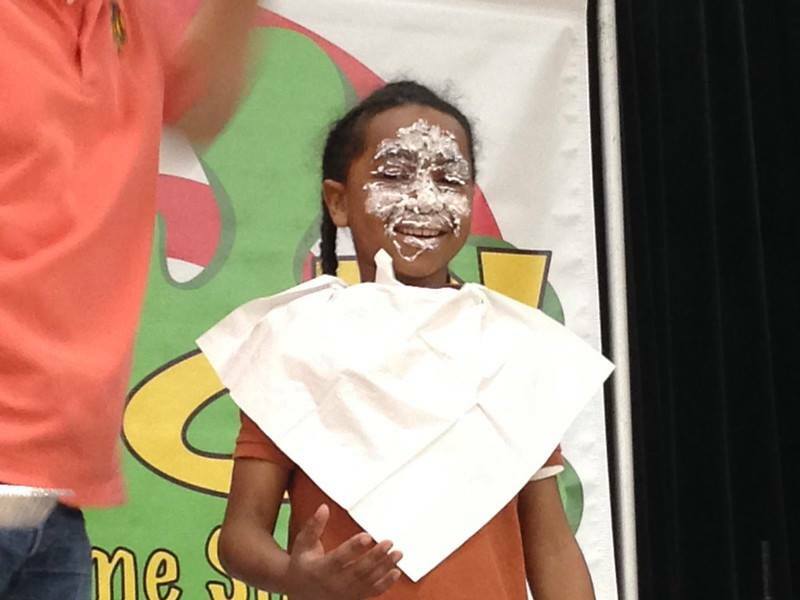 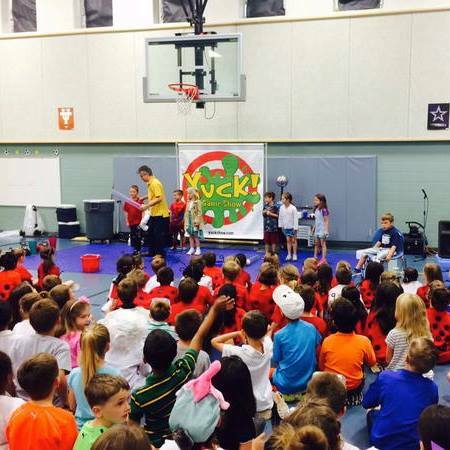 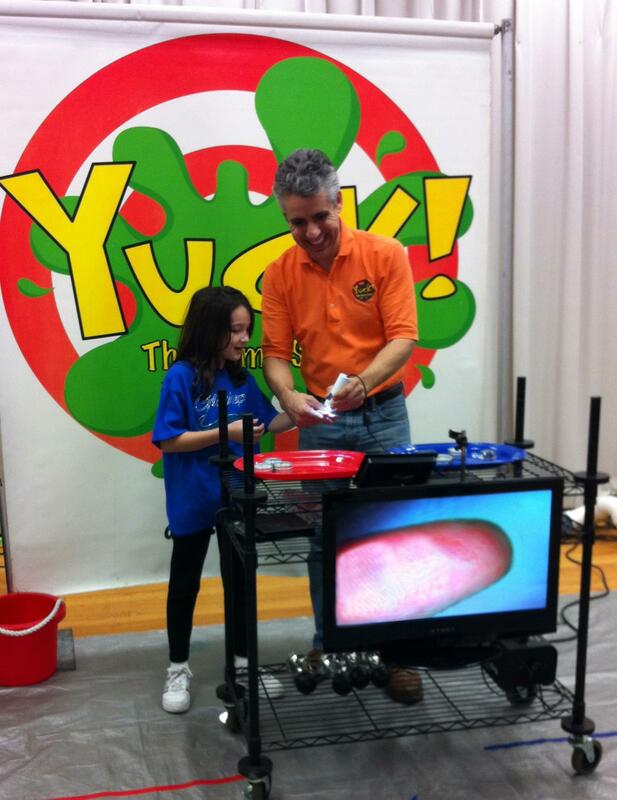 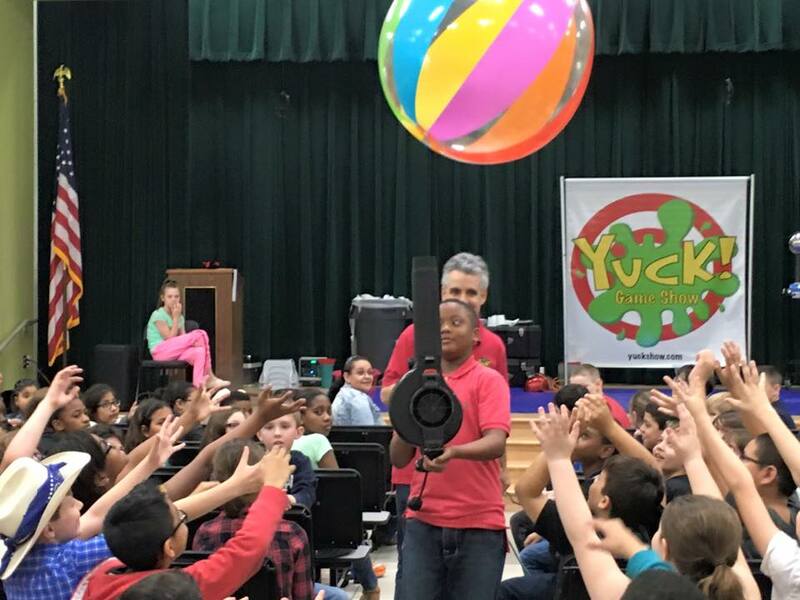 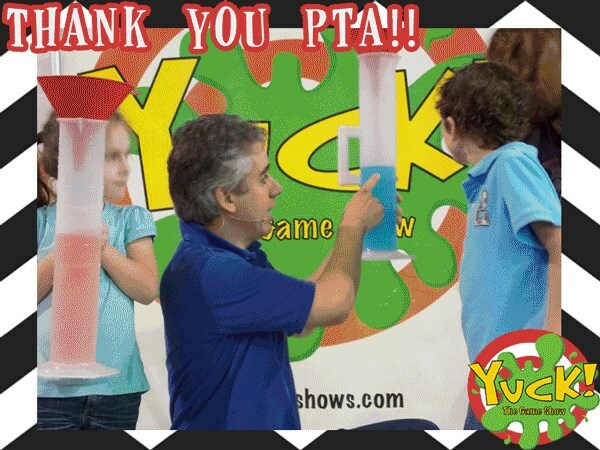 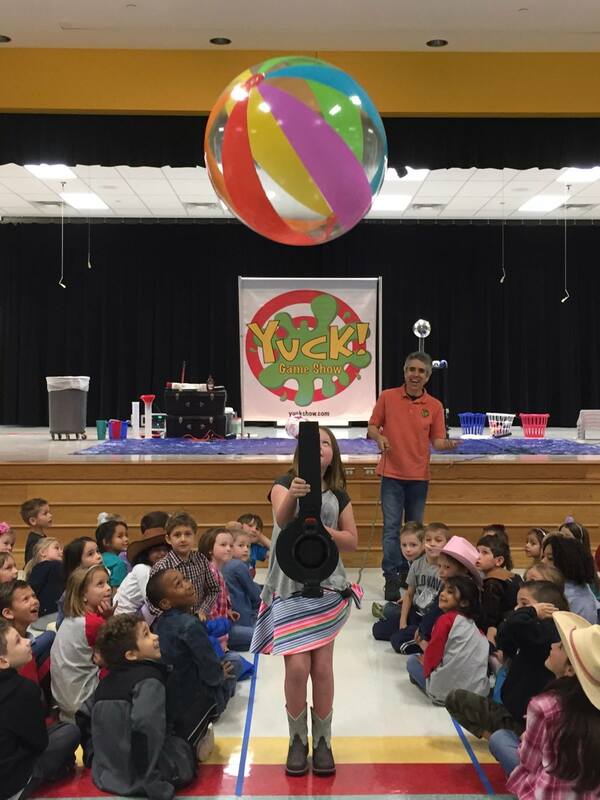 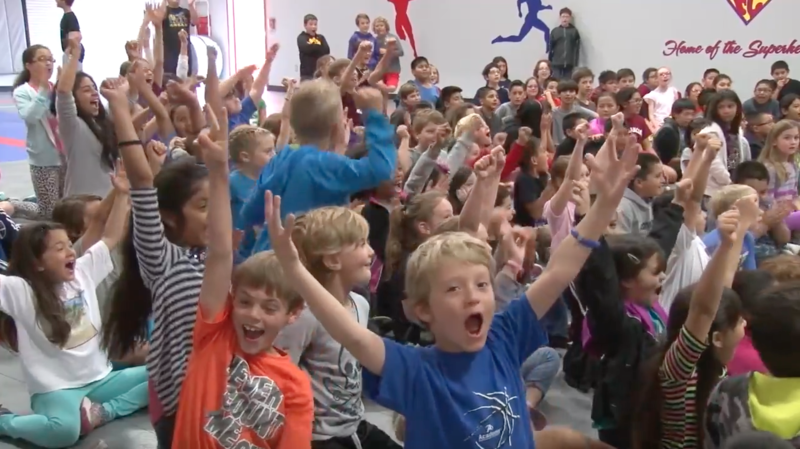 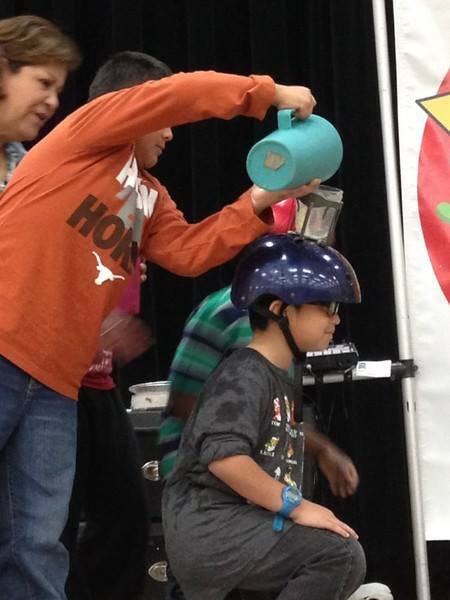 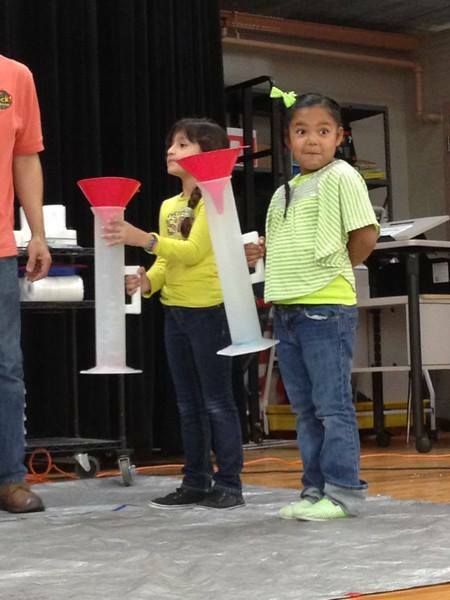 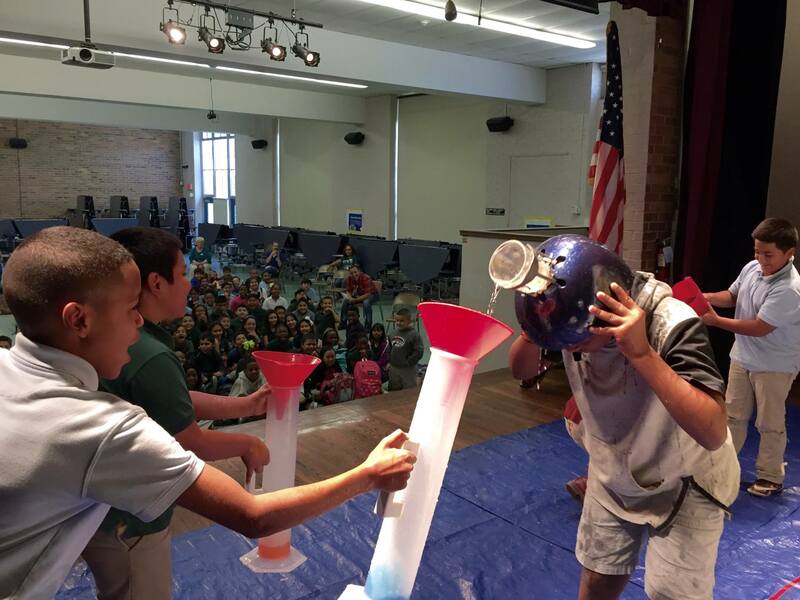 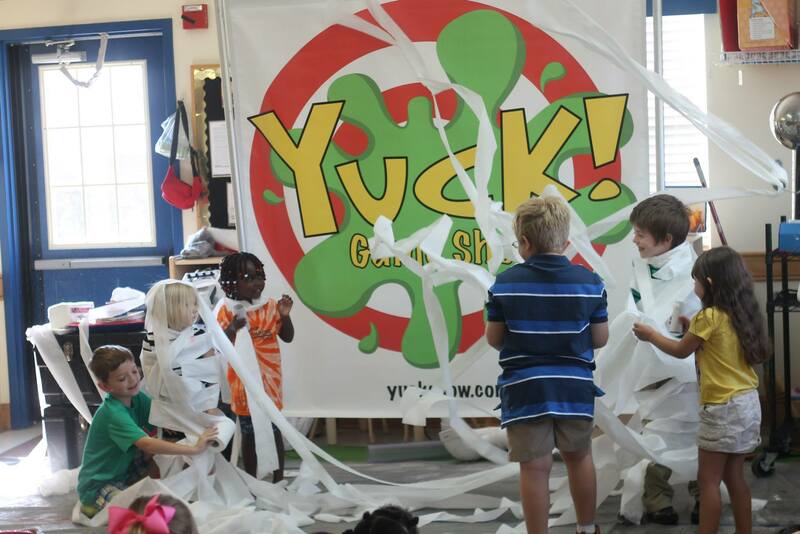 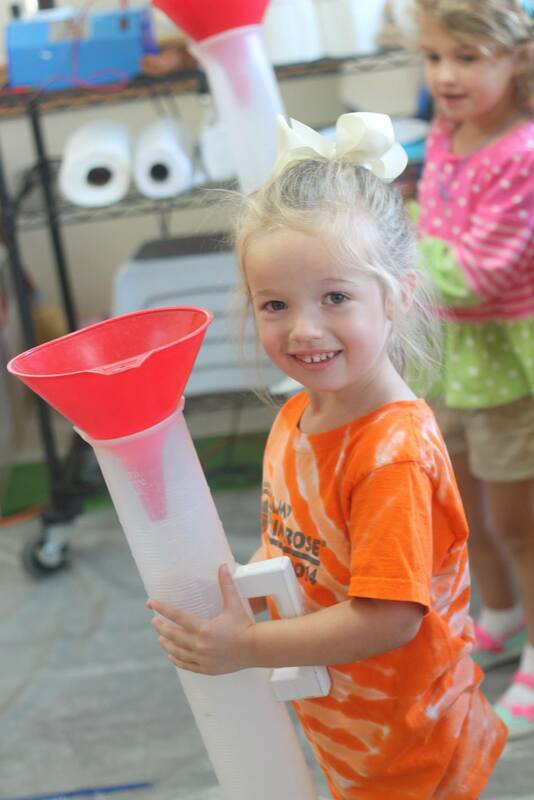 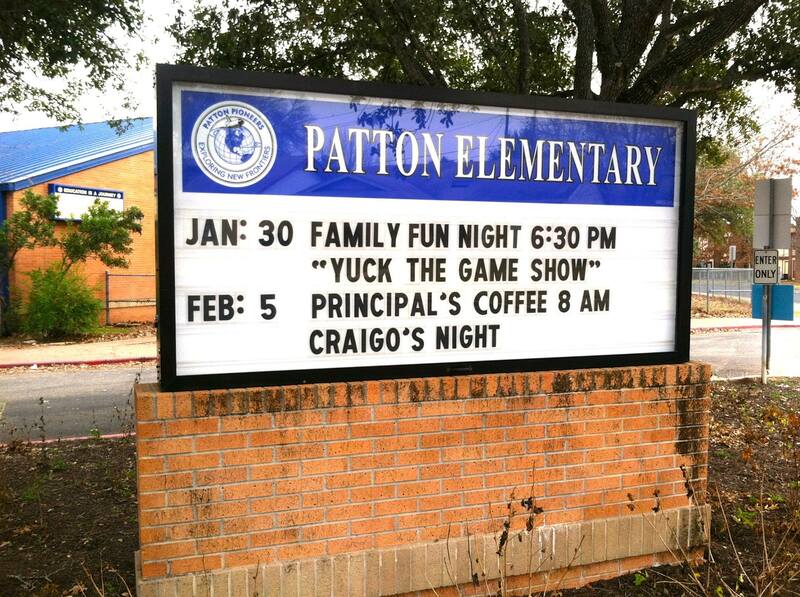 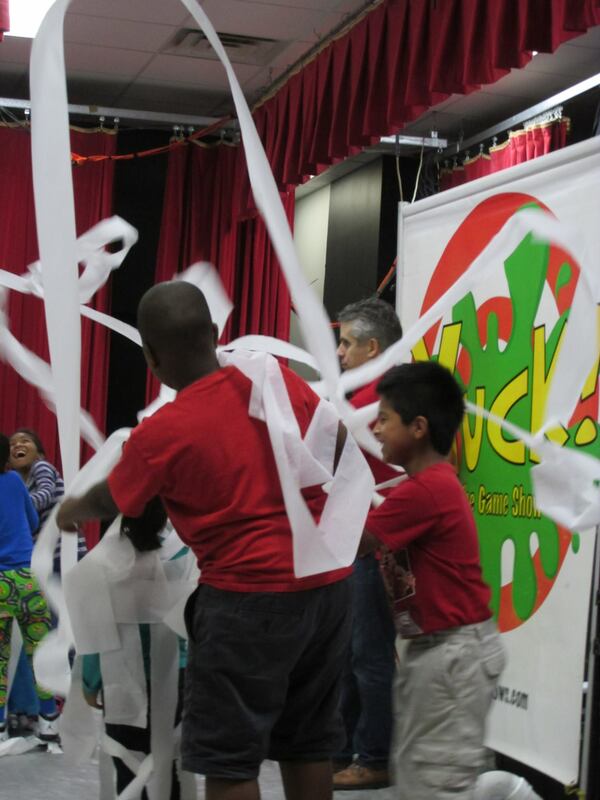 The Yuck Game Show is an energetic science assembly program based in Houston, Texas and available to schools both across Texas and the US. 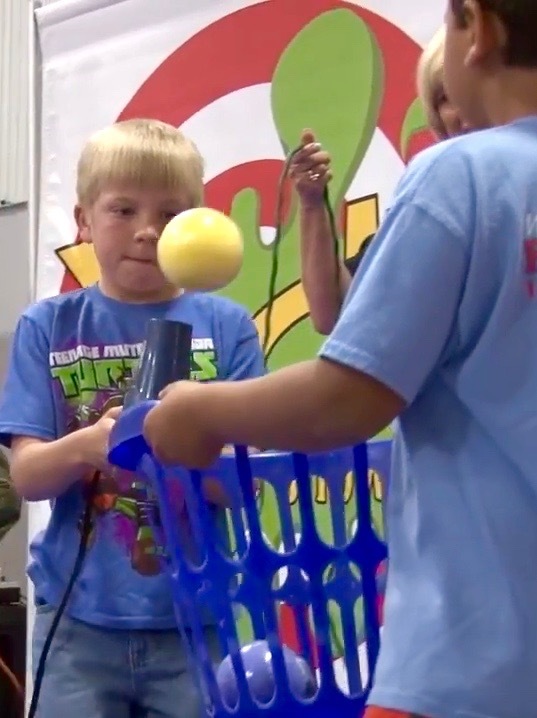 The audience is divided into two teams to compete in curriculum-based science games and big, highly visual science demonstrations, with the winning team’s captain getting the ultimate prize . 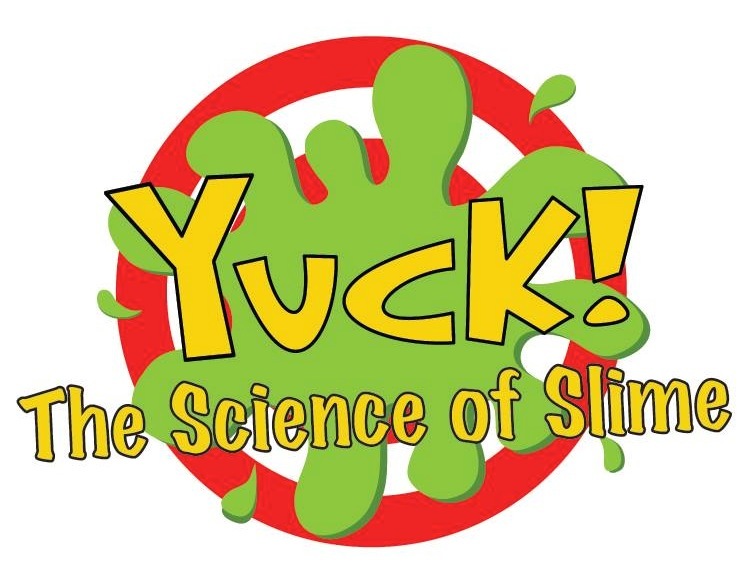 . . SLIME! 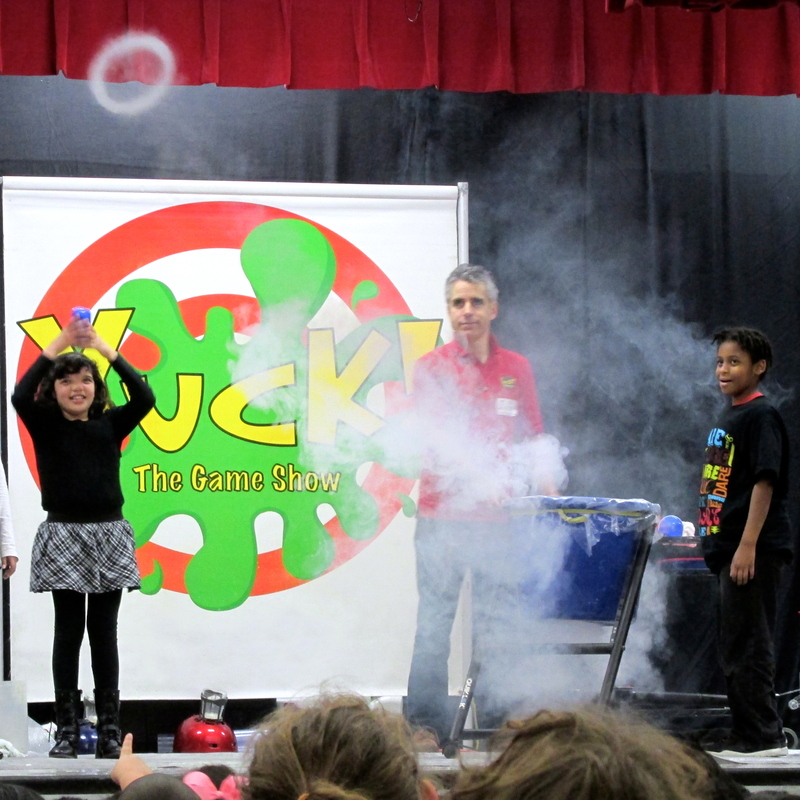 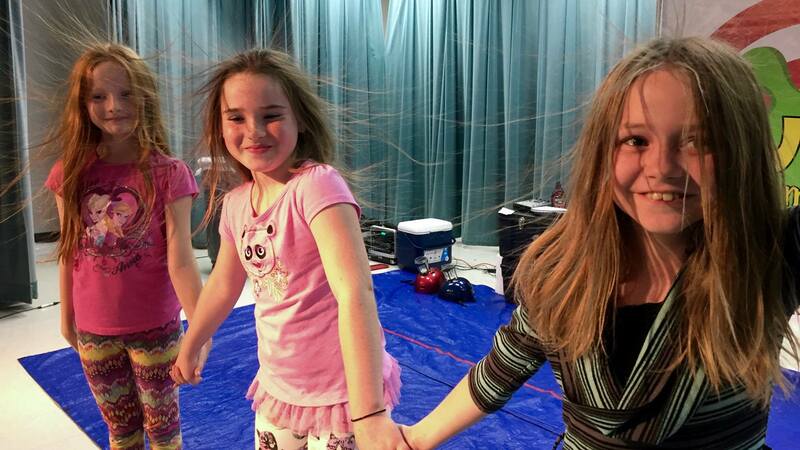 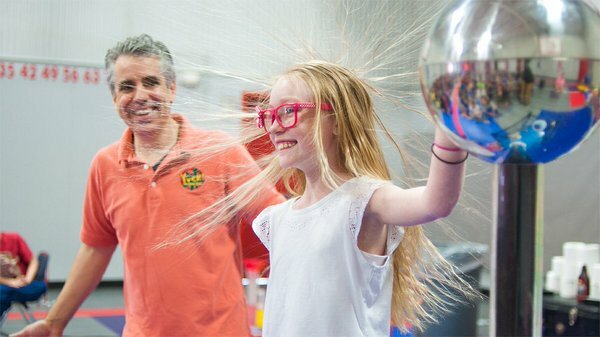 In this active experience, an average of 45 students per show come up on stage for engaging activities ranging from blowing smoke rings across the room to making beach balls levitate in the air, to using scientific equipment to determine the winner of silly relay games, all leading up to the grand finale of the show, when the “winner” is covered in slime! 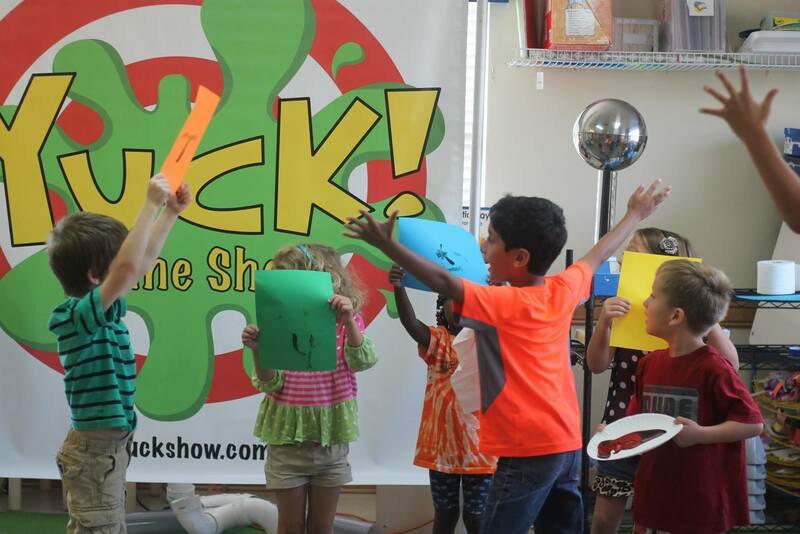 On the Booking Info page of this site, you will find technical details about the show, such as how long it lasts and how the show is managed. 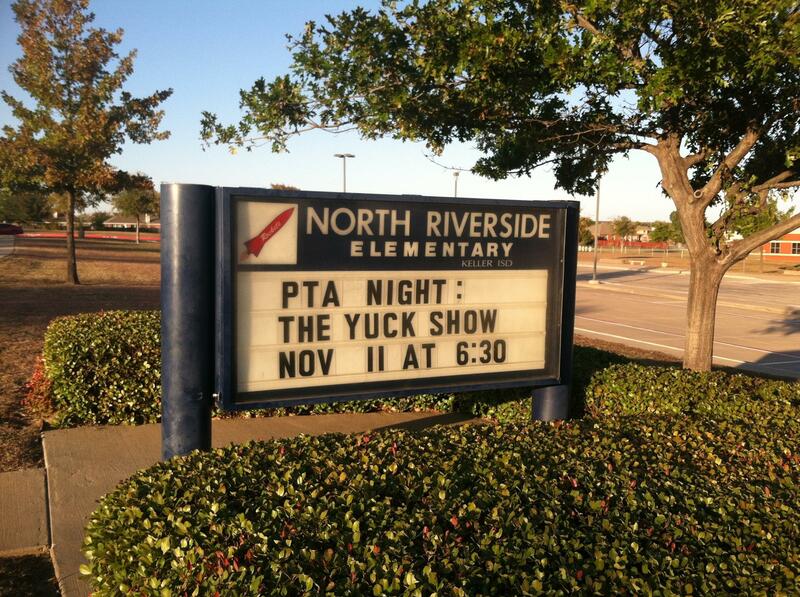 (It isn’t nearly as messy as it sounds!) 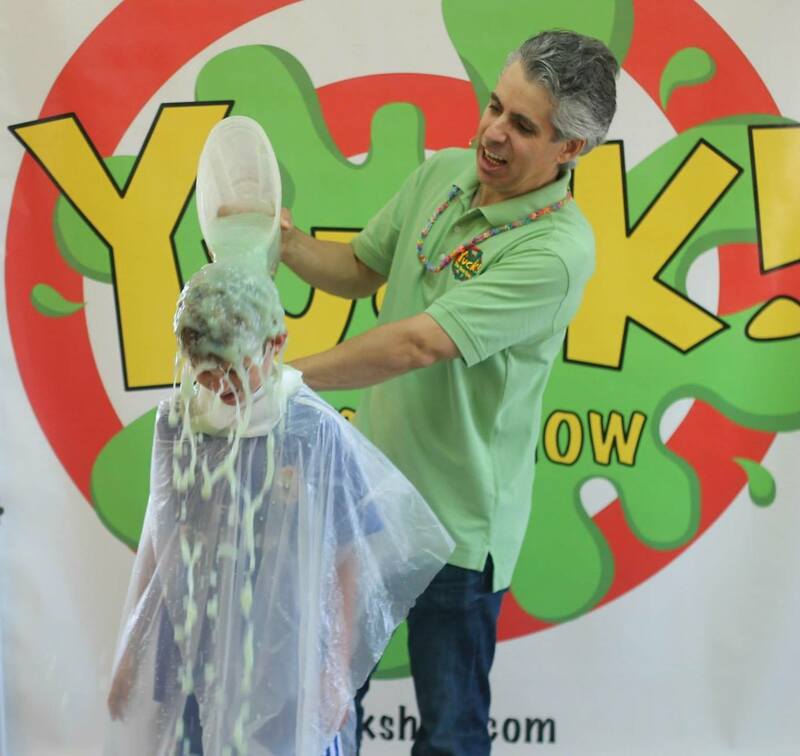 You will also notice our Curriculum page, so that you can understand those tie-ins, and our Testimonials page, containing the source material validating many of those nice blurbs you might have noticed at the top of this page. 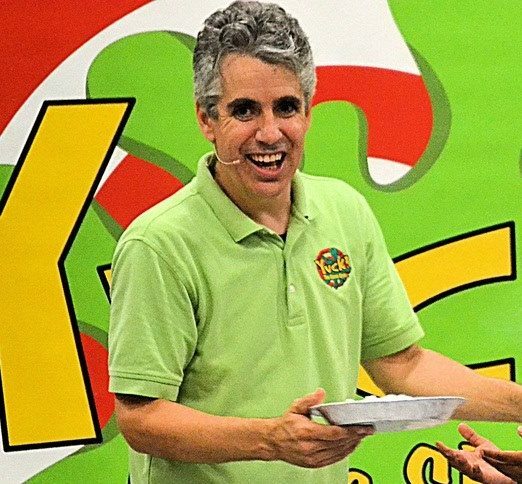 And for numerous photos and videos of the show, you need only to scroll down further on this page. 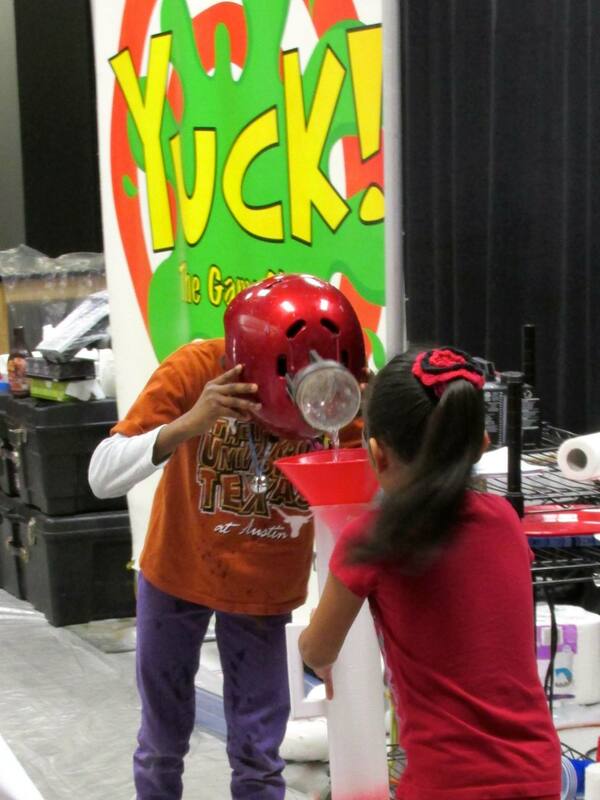 I hope you will take a moment to acquaint yourself with my show. 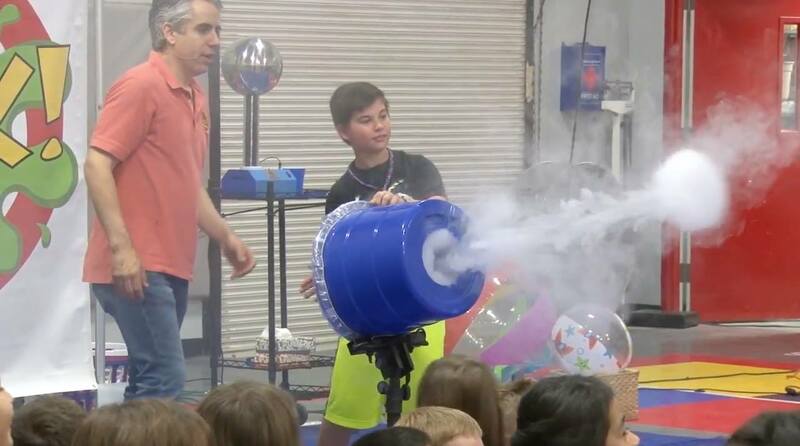 It has been an exciting experience for me and for the tens of thousands of audience members who enjoy it each year, and I know it would be a great success at your school.